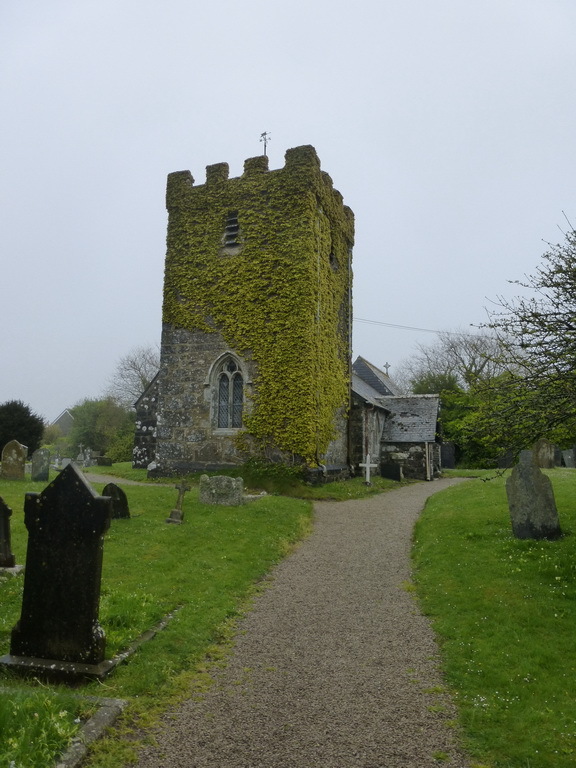 The church of St Ruan is huddled down close to the Lizard. Its tower is charmingly covered in Virginia creeper. Everything about it is small and a tall person will feel the need to stoop occasionally thanks to the low arches of the arcades. Some of the memorials are touching: ‘lost at sea’ is common while one to a 16 year old boy who fell off the cliff is particularly heart-rending. Had he lived another five years, he would have been 21 at the outbreak of Word War I.